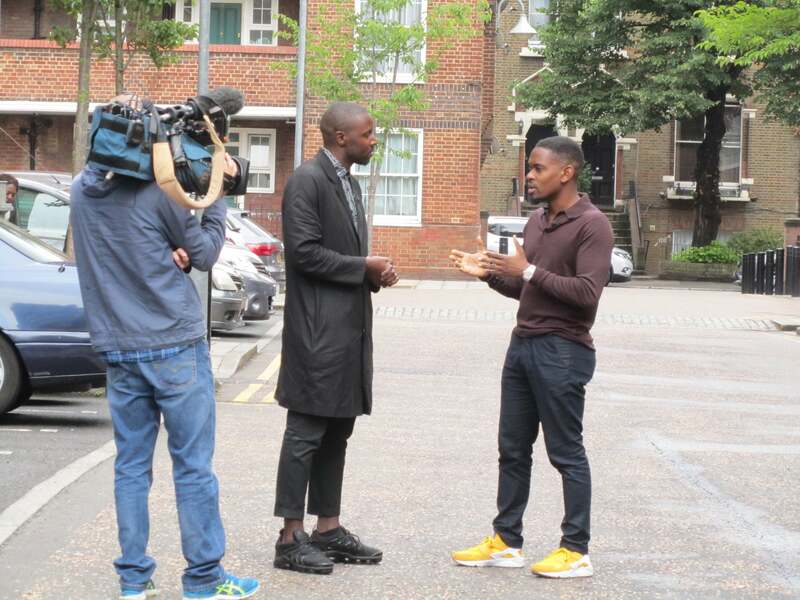 Aml Ameen returned this week to the housing estate in Hackney that plays his home in Yardie, Idris Elba’s directorial debut, opening on August 30th. He was being interviewed for Channel 4 News by Symeon Brown. This clip from the film, care of StudioCanal, shows off the location beautifully. The production spent just a day filming the scenes on the estate in May this year, returning a week later for pick up shots. Ameen said yesterday, as he walked back around the estate, that he couldn’t remember it very vividly as he’d applied method acting to the role, essentially experiencing the location “in a different head”. However, residents seemed to remember Ameen just fine, leaning over balconies to call hello, and getting an equally friendly hello back from the star. Ameen told Channel 4 News that the film should be viewed in the context of the Godfather films, Wise Guys or Goodfellas, saying, “It’s a genre film, it belongs to the gangster genre and should only be seen as such. Shantol Jackson as Ameen’s wife in the film, Yvonne, is essential to achieving this, he emphasised. Ameen spent his early childhood in the area, where his father ran a club helping to settle Caribbean immigrants. The film is based on a novel by Victor Headley, and Ameen pointed out that it was just the first of a trilogy about the character D: Excess and Yush followed. He hoped that, just like The Godfather films, Yardie might become the first of a trilogy of film adaptations. FilmFixer manages the film office service for the housing estate where filming took place, along with Islington Council where further scenes were shot in Torrens Street and St John’s Lane in EC1. FilmFixer CEO Karen Everett said, “We’d be really happy to see this production return for the next instalment of D’s story. “They behaved with great courtesy to residents, filming nimbly and unobtrusively. In addition to the location fee, the film made a generous donation to the local residents association, which will be put towards a summer party everyone can enjoy. Take a look at the full trailer for the film here.